I was inspired to visit this famous landmark in Mexico City from an old postcard. 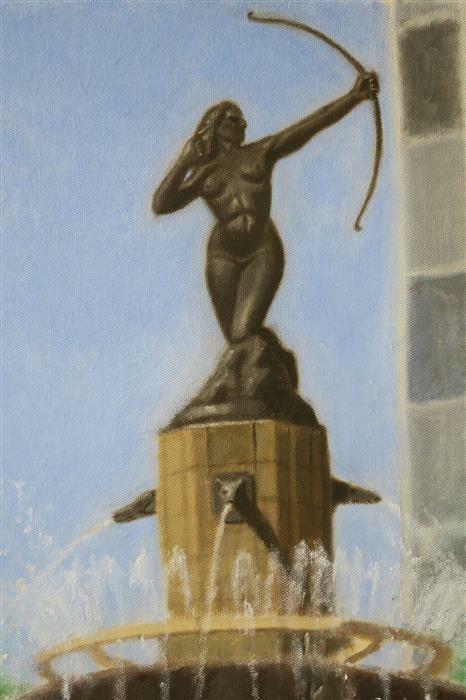 I love the pose and the statuesque "Diana The Huntress" body. 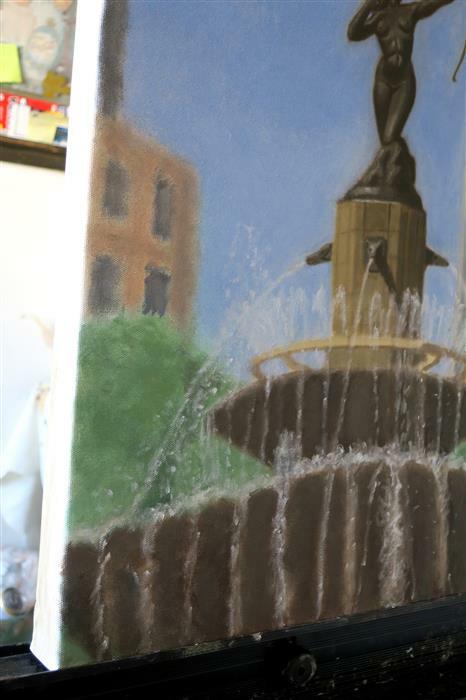 I also love how the statue is part of a fountain, which makes the subject even more interesting. 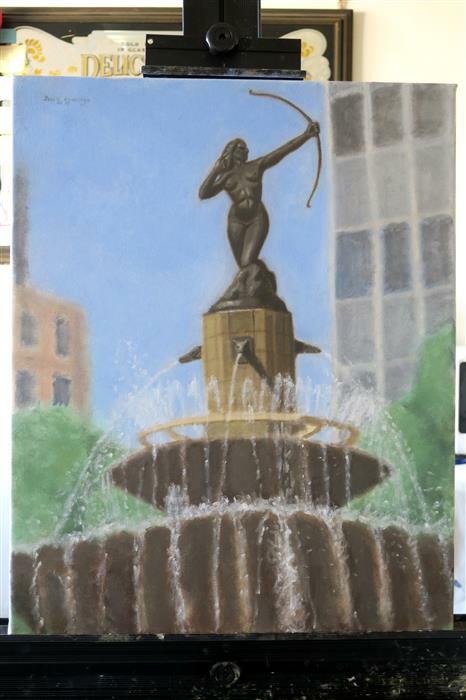 I took many photos to capture details of the statue and the way the water falls over the fountain, and get to paint my own version of Mexico City's Diana The Huntress!